Boston Rowing Federation » Onto the A Final! 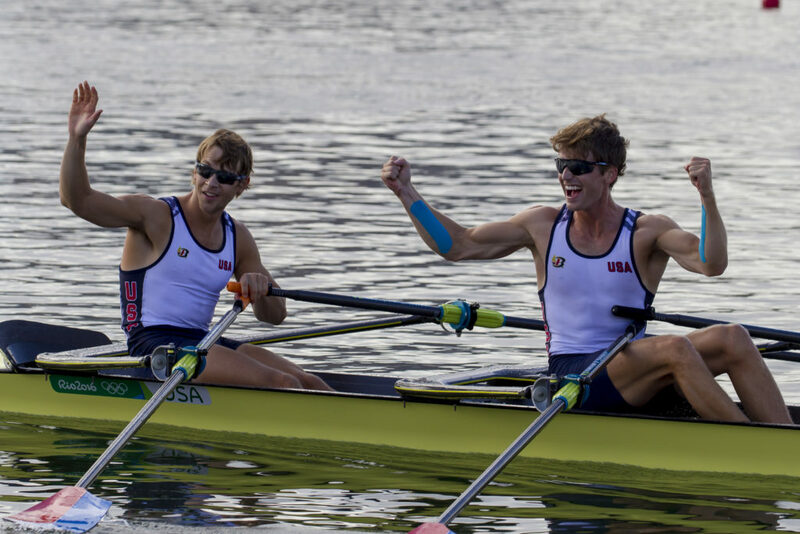 Andrew and Josh became the first US Male Lightweight scullers to EVER qualify for an Olympic A final. Finishing in the second fastest time of the day, and less than a second behind the reigning world Champions from France, they qualified for the medal round, and will next race tomorrow, Friday, August 12th, at 9:44am. Despite repeated challenges from both Ireland and Great Britain, Andrew and Josh rowed a very composed race, staying in second place at all markers, and putting pressure on the semifinal winners from France. With three to qualify, their place in the final was never in doubt. Full results of their race can be found here. Read the USRowing race report here.